Marie Lund â€œThe Thirstâ€� at Galleri Nicolai Wallner, 2019. Courtesy of Galleri Nicolai Wallner and Marie Lund. Photo: Anders Sune Berg. our first solo exhibition with Marie Lund. The idea of the body and of a bodily presence runs through the exhibition as six sculptures are placed along the galleryâ€™s surface. 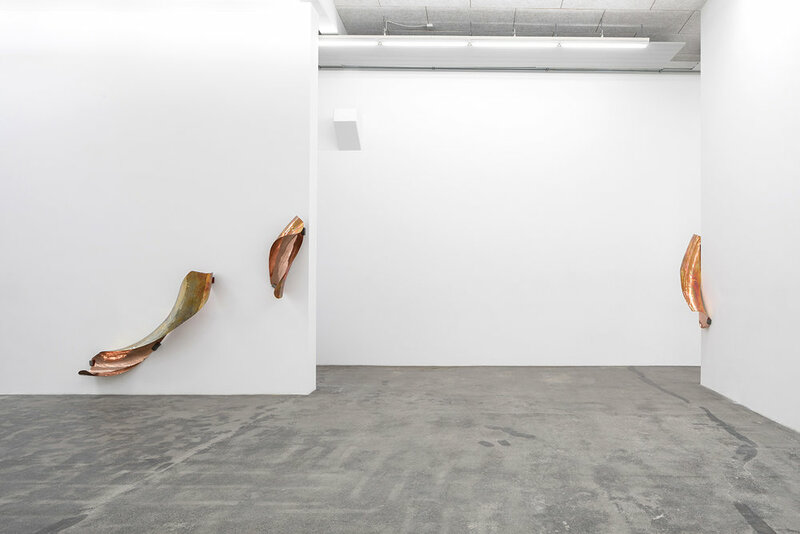 Twisting and bending, the sculpturesâ€™ curvatures reveal themselves almost like architectural elements that draw our eye through the space, using the wall as pedestals, making us aware of the space. Some wrap around corners, others climb. Each are placed with intention, joined to the walls with metal brackets and rubber, almost like hands holding the fixed works in place. There is a structure inherent in the works. Their shapeâ€”abstract to usâ€”is determined by a single form. 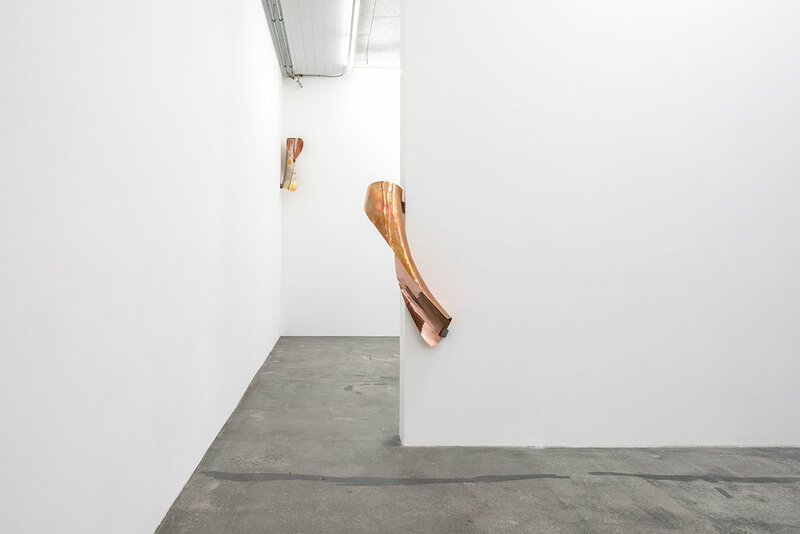 Shown in full, in part, flipped, inverted, the sculptures appear like the grammatical conjugation of a single word unfolding or a body moving through different poses. Each iteration or gesture reveals another aspect or emphasis of the form, imparting new meanings. The variations of form by which the voice, mood, tense, number, and person are identified. Their size echoes our own size, almost as if the sculptures are mimicking us, reflecting our body language, our posture, our corporeality within the space. The exhibition title, The Thirst, could thus be interpreted as a nod to a craving, a desire, a willingness and a need to understand and contextualise our own position. For this reason, perhaps, we find ourselves gravitating towards Marie Lundâ€™s sculptures. Their presence awakens something within us, they hold the space for us, making us aware not only of their place, but also of our own. Marie Lund (b. 1976, Denmark) is a graduate of the Royal College of Art in London, where she is currently based. She has had recent solo exhibitions at Holstebro Kunstmuseum (Holstebro), Museo Marino Marini (Florence), and Badischer Kunstverein (Karlsruhe). 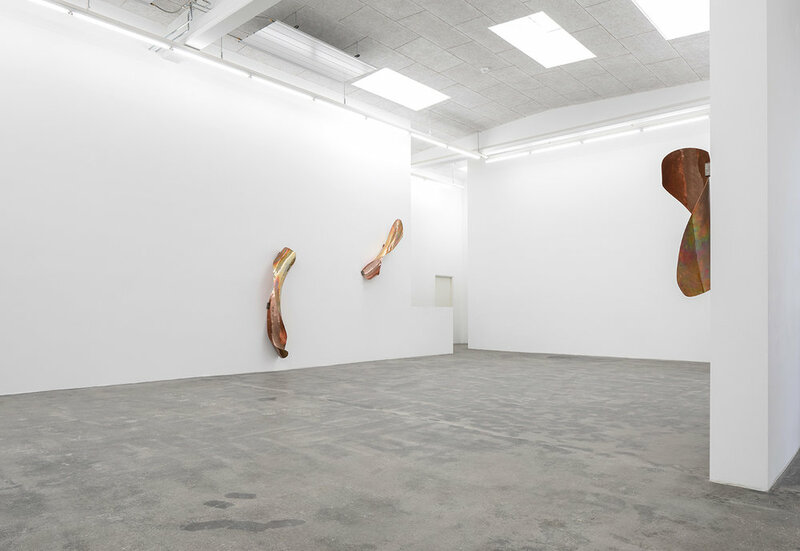 Lund has also been included in exhibitions at Palais de Tokyo (Paris), Museum Kunstpalast (Dusseldorf), Tate Britain (London), Centre Pompidou (Paris), Galleria Nazionale dâ€™Arte Moderna (Rome), ICA Institute for Contemporary Art (London), Fondazione Sandretto Re Rebaudengo (Turin), Galerie im Taxispalais (Innsbruck), Hayward Gallery (London), and Kunstverein Bregenz (Bregenz) among others. Exhibition period: March 22 - April 27, 2019. Opening hours: Tuesday-Friday: 11-17, Saturday: 11-15.